Ever been frantically running around Melbourne Airport trying to find Gate 18 in the International Terminal so you don't miss your flight to London? Or agreed to meet your mate on level four of that massive shopping mall, near one of the fountains, next to that new coffee shop you’ve never actually been to … and now you can’t find them? 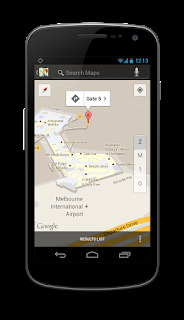 Today, Google Maps on Android is heading indoor in Australia, to make finding your way inside buildings much easier. 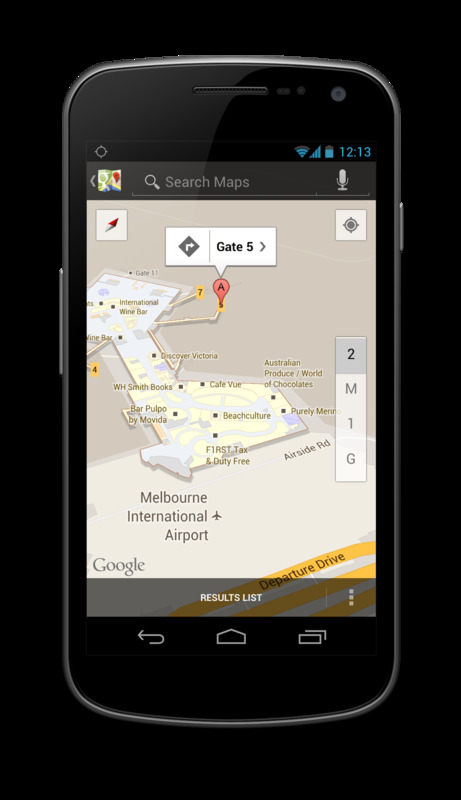 With indoor Google Maps, shopping centres, train stations, airports and many other places across Australia will be much easier to navigate. Many iconic Australian buildings like the Queen Victoria Building and Flinders Street Station now have their floor plans uploaded to Google Maps. The maps automatically appear when you zoom in on a location, and then fade away when the map is zoomed out. 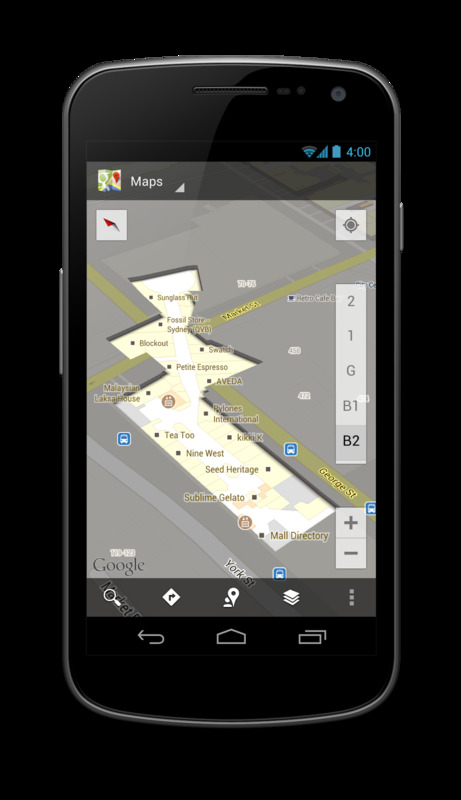 Indoor Google Maps are like having an indoor directory in the palm of your hand - helping you determine where you are, what floor you're on, and how to get to where you want to be. In some locations, you’ll even be able to use the familiar “blue dot” icon that indicates your approximate location - even when you’re inside. This means that when you move up or down a level in a building with multiple floors, the map will automatically update to display which floor you’re on. 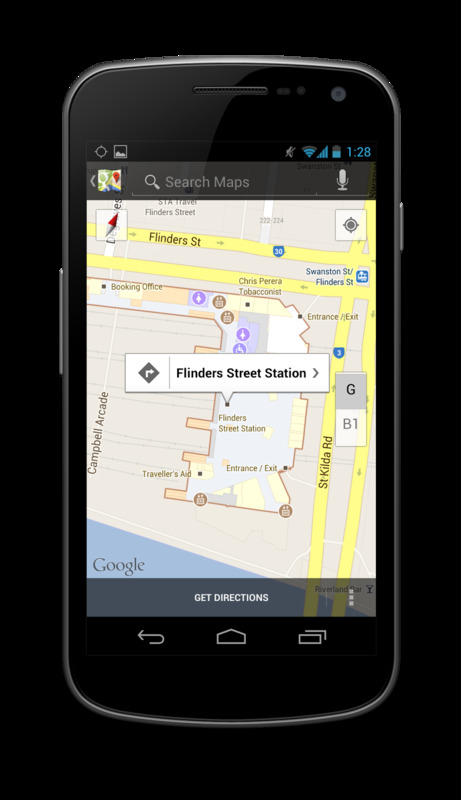 This is just the start - we’ll continue to add new indoor maps to public buildings across Australia over the rest of this year. 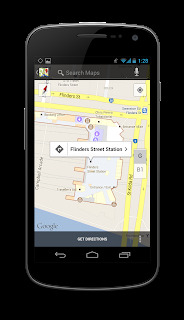 We hope you enjoy exploring over 200 locations across Australia that now have indoor maps available with confidence and a much stronger sense of direction and purpose. To learn more about indoor Google Maps and other features, check out this website or try it out today on your Android device.